Mix and match between oven and microwave lasagna. Both are the same receipe, but you prepare them differently. Which one is your favorite? To get the most value from your purchase, fill the shipping container: 24 frozen lasagna containers fit. Dina Mia brand lasagna starts with the basics—noodles—which, of course, are made from scratch in our own kitchen. From there, we begin to build the lasagna using our own spaghetti sauce, lean ground pork sausage, special grated blend of mixed cheeses and layered with our finest sliced cheese. 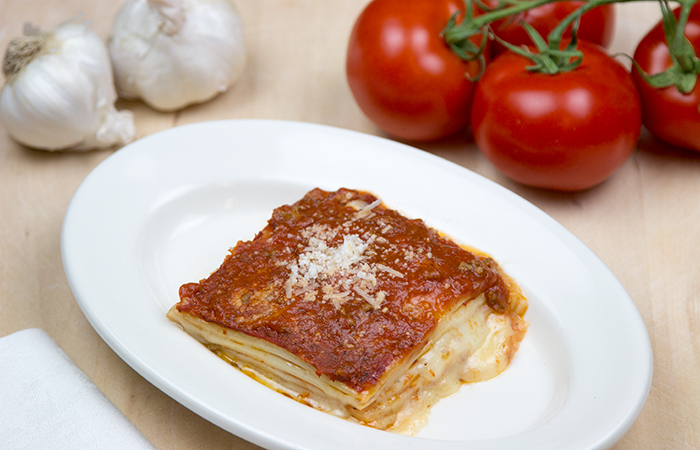 Five total layers make up our famous, delicious lasagna. Look in the frozen section for both oven-type and microwave-type cooking containers, or simply click the button below and order a couple dozen. Up to 24 fit a single shipping container.